Set the TARDIS home location. Make the TARDIS police box disappear. Change the direction the TARDIS police box faces. The tripwire hook in the Direction Frame is protected from stealing. and you will be shown the co-ordinates where you left it. Note: if the plugin difficulty is set to hard you will need to use the TARDIS Locator instead of this command. Make the TARDIS come to you. Note: if the plugin difficulty is set to hard you will need to use the TARDIS Stattenheim Remote instead of this command. Save TARDIS time travel locations — use this command to save the location where the TARDIS Police Box currently is. Using this command while holding a Save Storage Disk in you hand will write the save to the disk. Note: if the plugin difficulty is set to hard you will need to craft Save Storage Disks instead of this command. Delete saved time travel locations. List saved time travel locations, companions, recharge points and TARDIS areas (such as airports). Add a player to your companions list and allow them to time travel with you (make sure they have the tardis.enter permission as well). Remove a player from your companions list. After executing the command, click on the block to update the TARDIS settings. If you have created a TARDIS with an older version of the plugin, you can also use this command to add any missing controls. If you run the command /tardis update without any further arguments, an interactive clickable chat GUI will be displayed — just click the item in chat that you want to update, and avoid having to run the command multiple times (requires TARDIS v 3.1-beta-1 or higher). Silmilar to the /tardis update command, you can use the /tardis secondary command to update the locations of controls in secondary (and tertiary) consoles. Another “update” type command, this one deletes all of a TARDIS’ lamp records from the database, and rescans the TARDIS console for lamps to add back in. This is useful if you have changed the location of the lights of the console room and now I can’t turn them on or off. 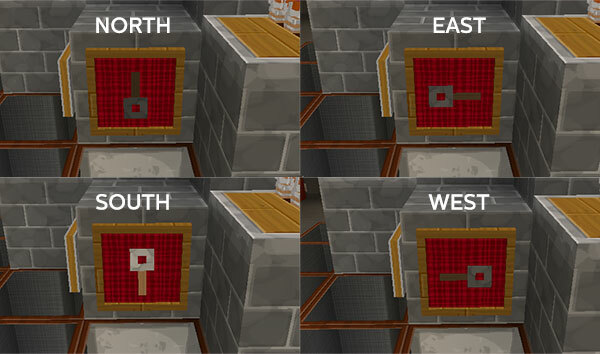 Note: Make sure that you have set your lamp preference correctly before running the command (/tardisprefs lanterns [on|off]), so the plugin searches for the correct block type (Redstone Lamp or Sea Lantern). and the Police Box will be recreated at its last known save position. Use /tardis find to locate it if you cannot remember where that was! Let’s you rescue a player and materialise the TARDIS around them. The player must accept the rescue attempt by typing tardis rescue accept in chat. This command is only available if you are running CraftBukkit 1.4.6 or later. Type this command to confirm that you want to delete your TARDIS. Type this command to convert v2.0-beta-6 and earlier style gravity wells to the new updated style. You must be inside the TARDIS to run this command. Type this command if you have exited the TARDIS accidently by another means than by the TARDIS door. It will toggle your TARDIS occupation status i.e. if you were inside the TARDIS it will set you to being outside. Type this command, then click on the entity you want to eject from the TARDIS. The entity could be a player, villager, or mob (except horses — you need to ride those out). TARDIS admin users and server ops cannot be ejected.